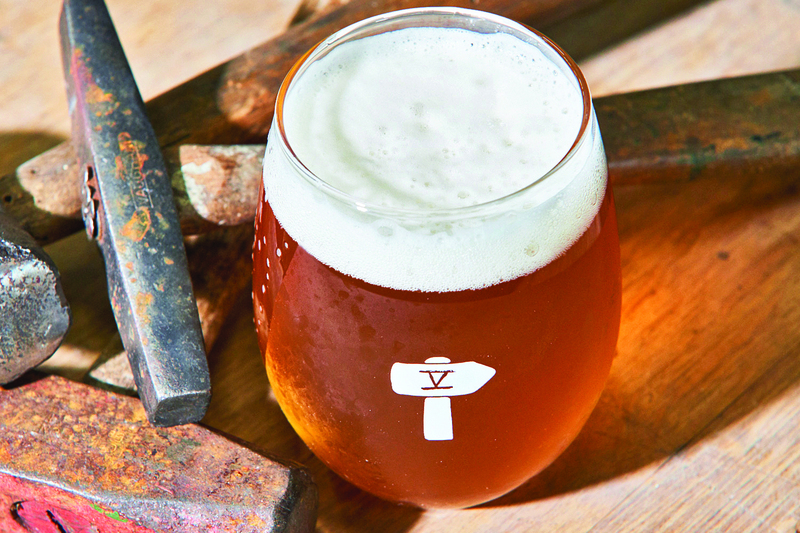 Great news, drinkers: New York’s craft-beer revolution shows no sign of slowing down. 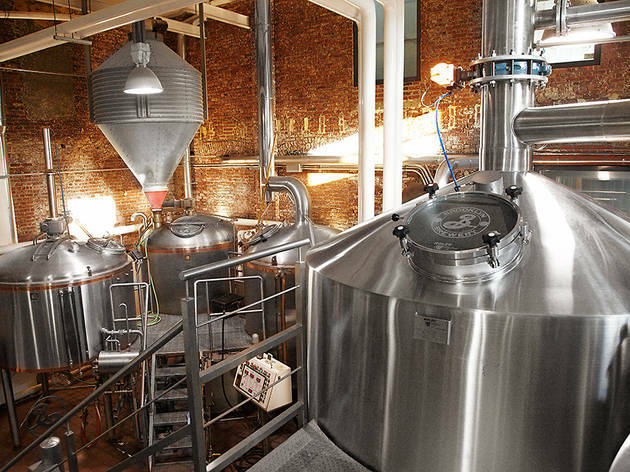 A bunch of of boundary-pushing breweries just opened in NYC, and upstate and Long Island are brewing up some killer facilities as well. 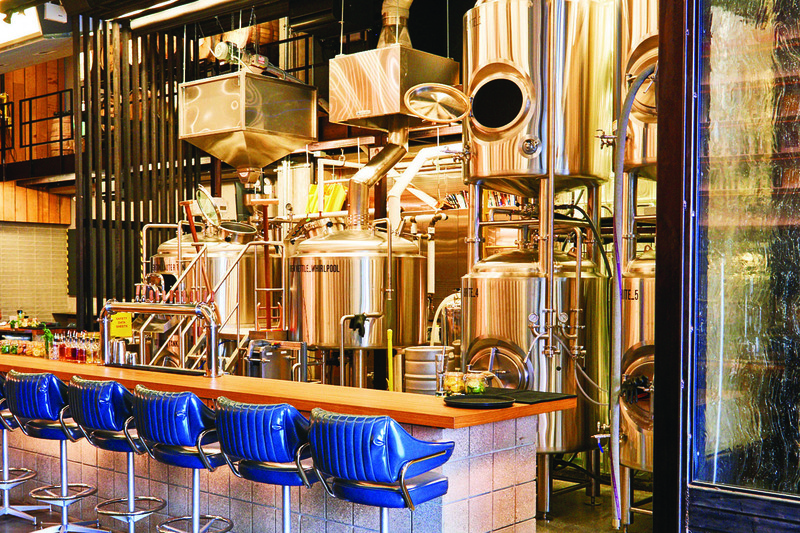 Here are the very best beer makers in the state. Hit them up for tours, tastings and more. 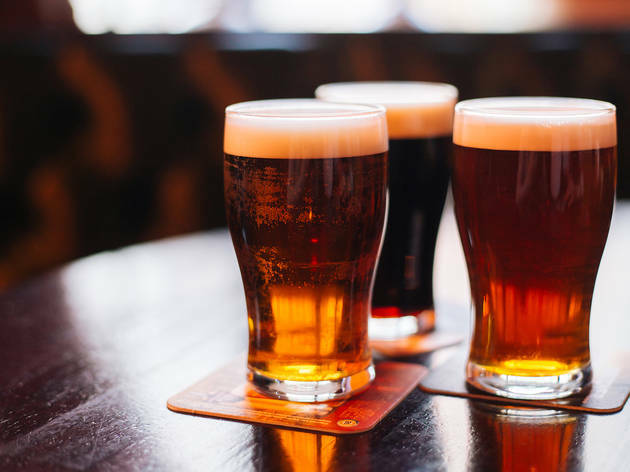 And if you’re craving more suds in the city, check out the best beer bars in town and these awesome beer stores. 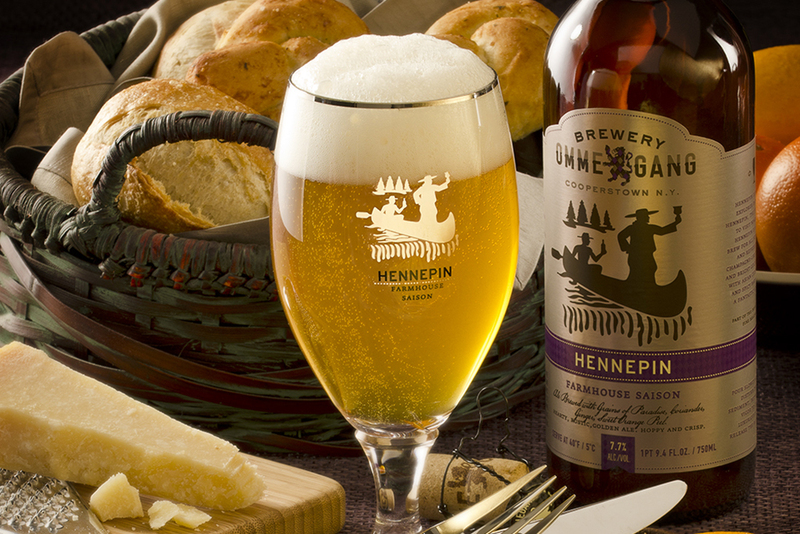 The Ommegang Hennepin Farmhouse Saison is a prime example of how American craft brewers continue to produce their own unique takes on classic beer styles without destroying the heritage on which they were built. This beer is full-bodied yet crisp, spicy yet refreshing. 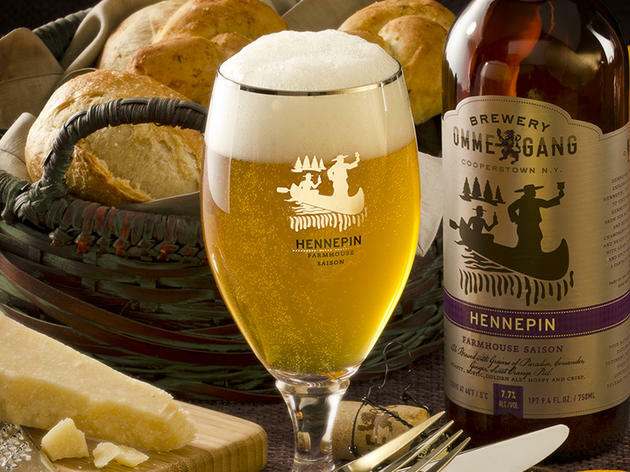 Other standouts from Ommegang’s regular stable include the Gnomegang (yes, with gnomes on the bottle) Blonde Ale, the Rare Vos Amber Ale, the Witte Wheat Ale, Three Philosophers Quadrupel Ale and the Hope House Belgian-style Pale Ale. 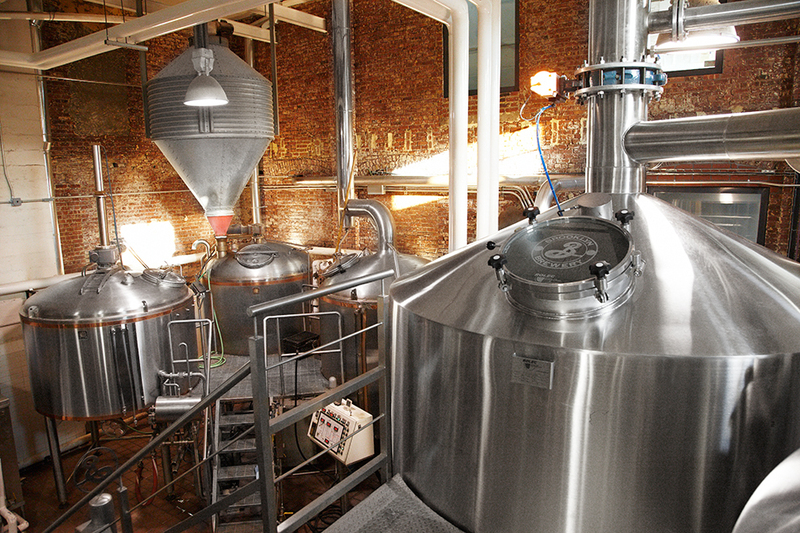 Annually, expect a few limited edition brews from this picturesque New York state brewery. 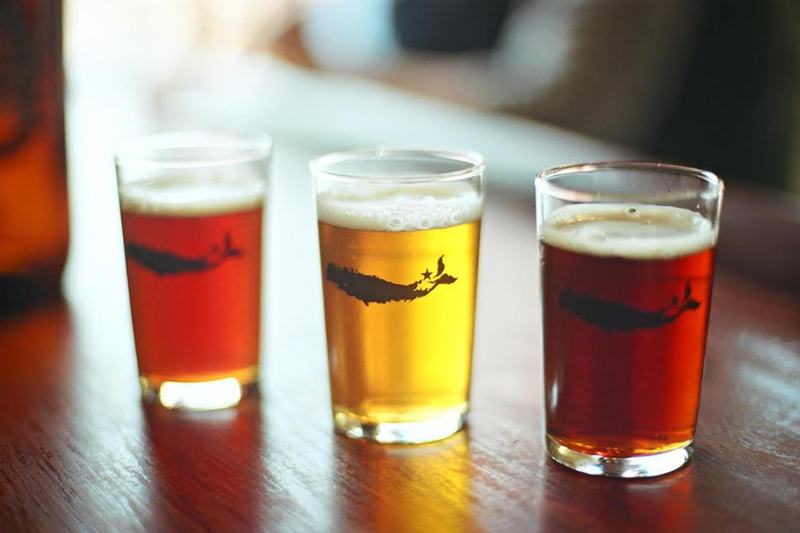 Williamsburg's craft-beer facility offers reservation-only small batch brewery tours (Mon–Thu 5–7pm; $15) and free general tours on Friday, Saturday and Sunday (see website for details). You can also sample beer in the tasting room. 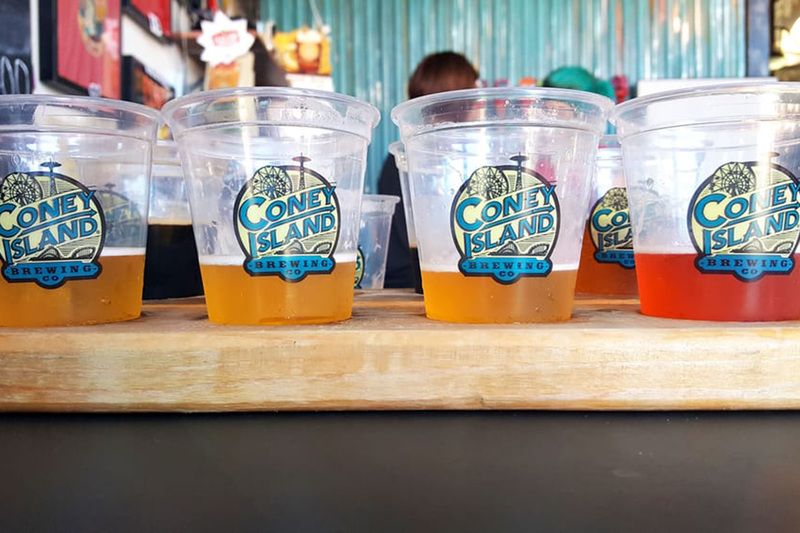 Photograph: Courtesy Yelp/Johnny Prime C.
In between catching rays on the beach, head to this boardwalk brewery for a pint, a flight or to-go growlers of one of eight house-brewed draft beers, with options like the Mermaid Pilsner, the Overpass IPA or limited-edition stuff like a Kettle Corn Cream Ale and a watermelon-wheat Tunnel of Love. In Long Island City, Queens, already home to heavy hitters like Big aLICe Brewing and Transmitter Brewing, things are about to get funky. “I’m a promiscuous drinker, therefore I’m a promiscuous brewer,” says head brewer Chris Cuzme (508 Gastrobrewery, KelSo Beer Co.). 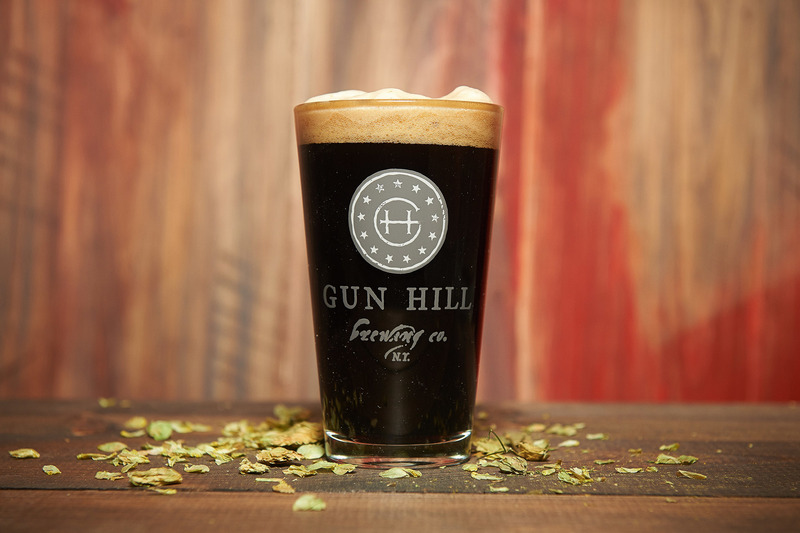 When his brewery opens later this month, you can expect a mind-boggling range of beers to flow from the taps, including kettle sours laced with passion fruit, mango and cherry; a roasted dry stout; toasty farmhouse golden ales; and pale ales aged in rye barrels handed down from NY Distilling Co. And Fifth Hammer’s occasionally quirky side is evident in the decor, too: At the heart of the lounge is a 25-foot bluestone bar that was once the sidewalk at a Mount Vernon school, and—as a nod to its namesake—there’s a collection of more than 300 vintage hammers that have been turned into tap handles and also outfit window sills. 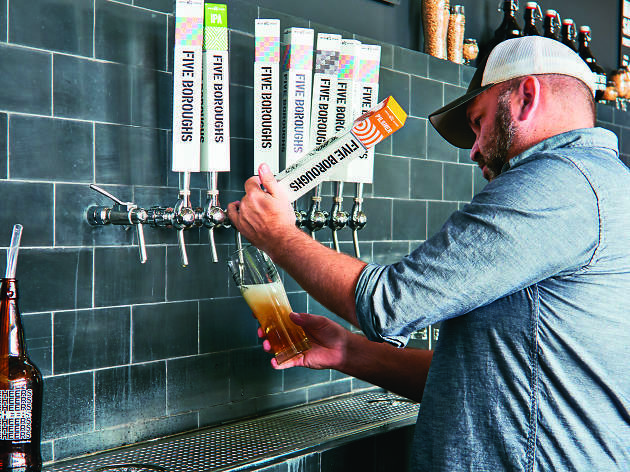 “It doesn’t matter what neighborhood you’re from: This is your beer,” says Blake Tomnitz, who opened Five Boroughs’ Technicolor taproom with his fellow cofounder, Kevin O’Donnell, in early August. 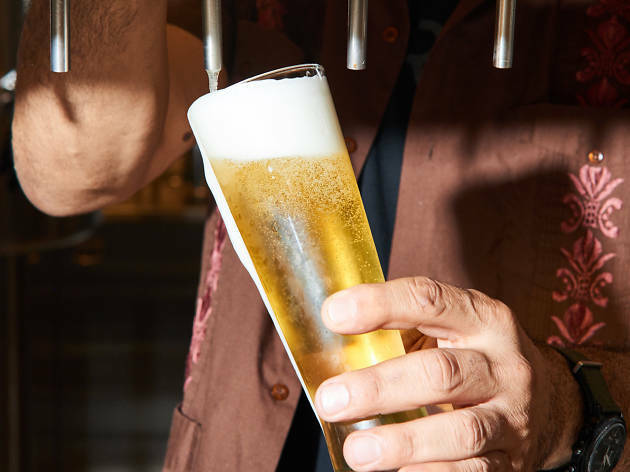 During their short run, they’ve already lived up to their company’s name, having hosted 17 launch parties at watering holes in—you guessed it—every borough. 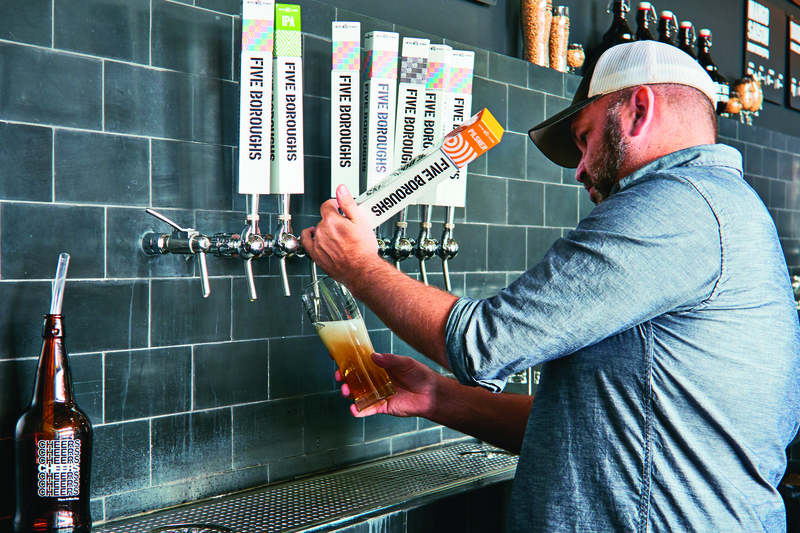 Inside Five Boroughs’ sprawling 15,000-square-foot space in Sunset Park, Brooklyn—formerly a steel-fabrication plant—16 taps pour a mango- and pineapple-tinged gose, a double dry-hopped session IPA, an upcoming milk stout made with local chocolate, a sour aged in French oak barrels and more creative concoctions by lead brewer Nick Griffin (formerly of Southern Tier Brewing Co. and the Bronx Brewery). 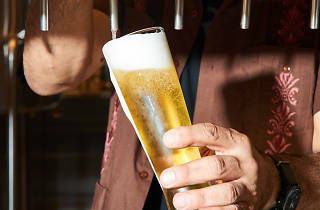 But the duo hopes to extend its brews far beyond its industrial HQ—which has a stage for future concerts and other shindigs—and, to quote O’Donnell, “resonate with all different types of establishments throughout New York.” So far they’re making headway, with suds served in joints as disparate as a one-tap watering hole in Williamsburg and a 36-handle sports hub in midtown. 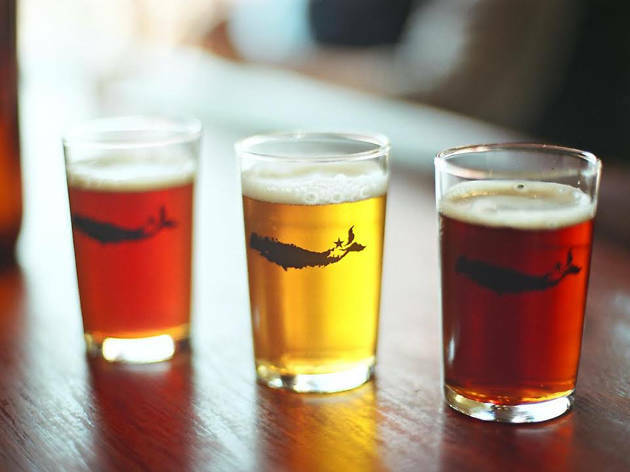 While this North Fork brewery has opened a larger facility in Peconic, its original far-flung outpost in Greenport remains cozily housed within the fishing town’s former firehouse—with serious small-batch ales on tap. 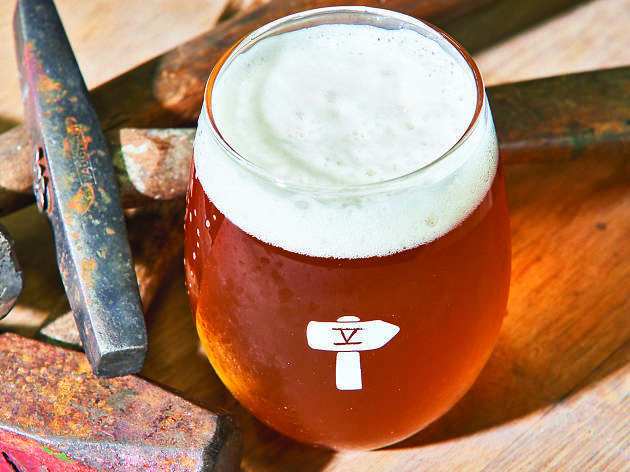 The second-floor tasting room rotates a tidy selection, like the Bed & Breakfast, a cream ale and fittingly malty brew that’s inspired by French toast. 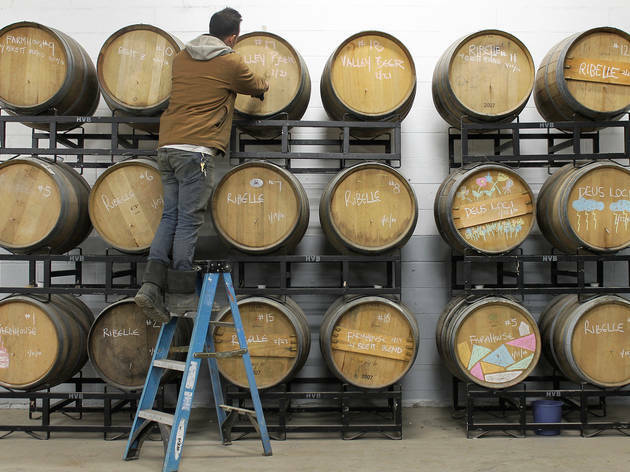 Since Rheingold closed shop in the late '60s, beer has been produced outside of the borough—City Island brews upstate and Bronx Brewery trucks in kegs from Connecticut. 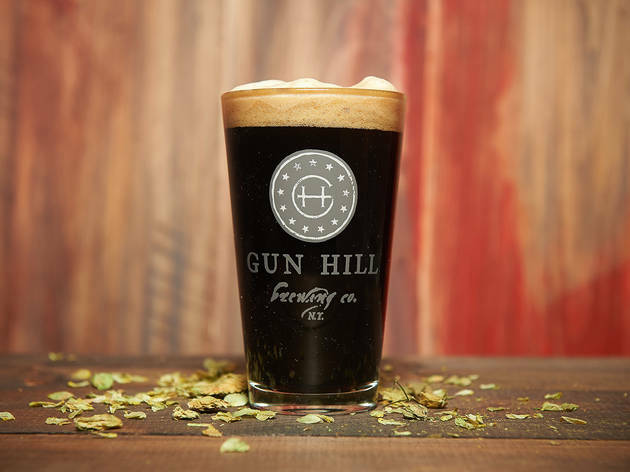 At this 5,000-square-foot draft operation, Chris Sheehan (Chelsea Brewing Company) makes all beer on-site, turning out a 30-barrel lineup of German-style ales, hearty stouts and a Frosted Hops ale, made with frozen upstate wet hops. 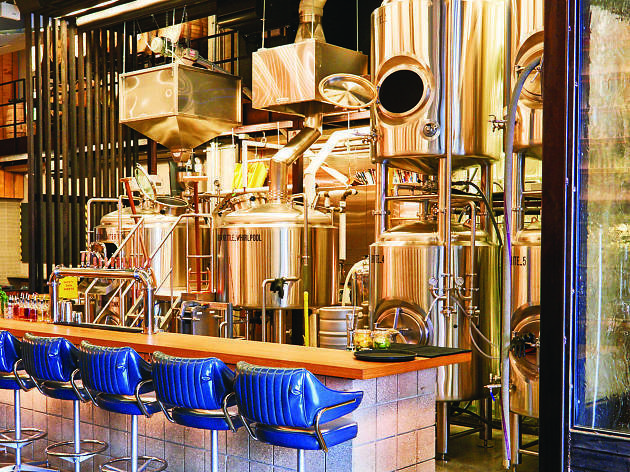 The dark-wood taproom functions as a 25-seat bar and retail shop—a perk of a farm brewery license, which also requires Sheehan use local ingredients—selling pints, flights and to-go growlers. 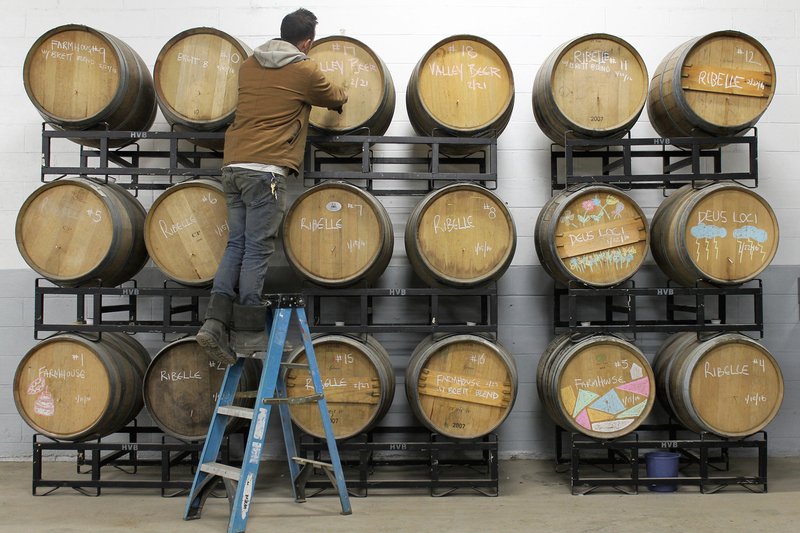 After snapping and hashtagging your heart out at Dia:Beacon, drop by Hudson Valley Brewery’s new 2,000-square-foot tasting room, where a seven-figure renovation has turned an 1880s factory into a temple for sour beer. Pro tip: Sample the Ultrasphere—a limited-release sour IPA brewed with a vibrant mix of hops and conditioned on raspberries and vanilla beans—before it runs out. 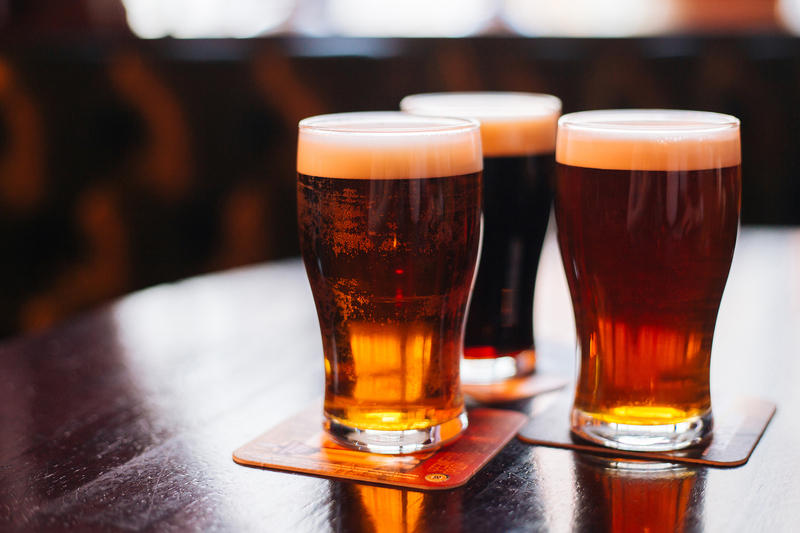 In the late 1800s, Bushwick was known as Brewer’s Row, thanks to its 14 local breweries and thriving beer scene. 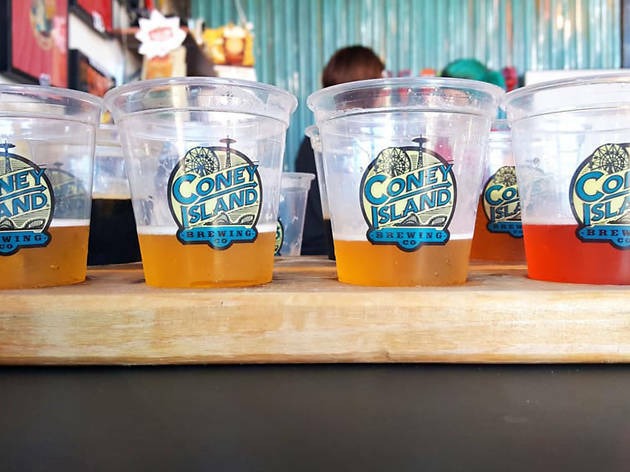 Kings County Brewers Collective hopes to bring that back. 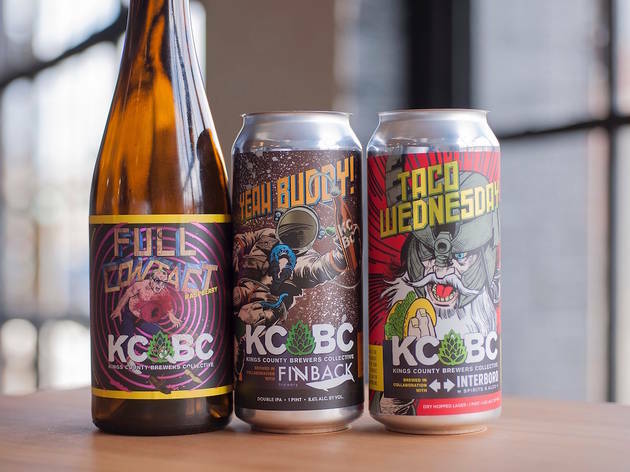 The first to set up shop in the neighborhood since Schaefer closed in 1976, this brewery, warehouse and taproom brews all its suds on the premises. The selection of beers changes seasonally, but on a recent visit, bartenders were pouring the Beggar’s Gold Belgian Ale, Formula Check American Pale Ale, Full Contact: Raspberry Sour Ale, IPA, Marble of Doom Sour Ale, Monsieur Maniac, What We Don’t See Imperial Stout and Rainmaker Stout, plus Descendent Succession Cider. Want to drink it later? 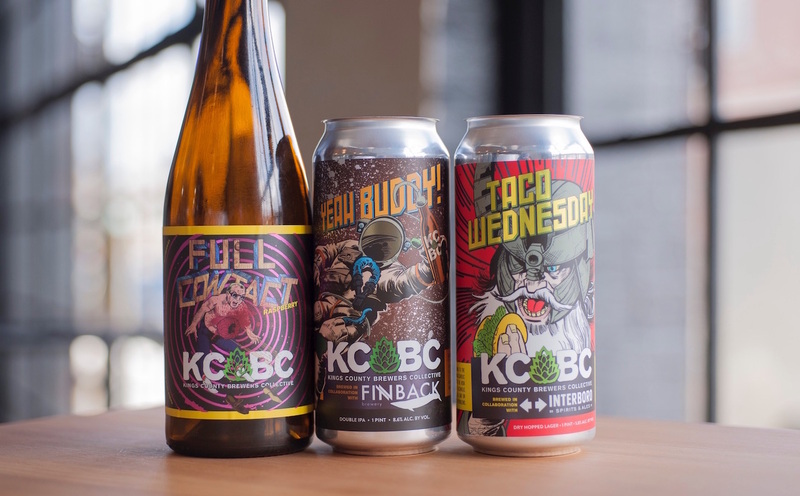 You can buy one of the collective’s 32-ounce crowlers—a cross between a growler and an aluminum can—to take most of the brews on tap to go.